There’s a reason certain spaces in your home are called living rooms or family rooms – it’s where you and your family live! These rooms should be comfortable, beautiful and an expression of who you are. Our team of professional interior designers and installers are standing by to help transform your living room into its best self. 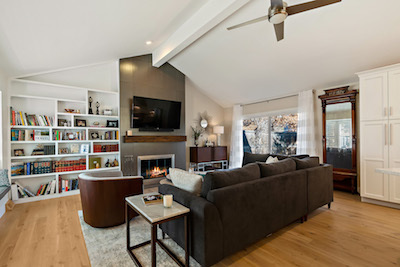 The right living room interior designer in Denver can help you harness and enhance the unique features and resources that make a house a home in Colorado. 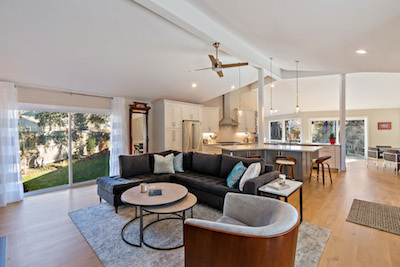 Take advantage of 300 days of sunshine by allowing natural light to flood and brighten your living room; frame the changing views of the four seasons in your yard with new windows and window treatments; consider renovating to make your living room flow out to a deck or patio to create an indoor/outdoor living space. 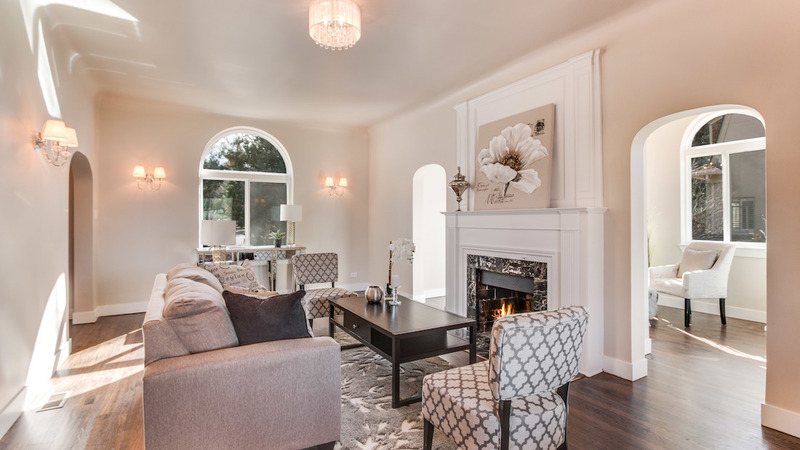 We specialize in new construction and remodeled living room interior design in Denver for all spaces and all budgets. When you choose to partner with us, you’ll work with our award-winning design interior designers, remodeling professionals and installers and have access to our full design center. Expect exceptional customer services and a one-of-a-kind result. There are a lot of factors to consider when designing your living room and we can guide you through the creative process, and later the construction and final touches. For example, do you like to entertain? Let’s discuss seating areas and the general flow through the space for ideal evenings with your family and friends. Do you like to curl up with a good book and a glass of wine by the fireplace? We can help you pick the perfect reading chair and ambient lighting, not to mention designing your built-in wine bar.